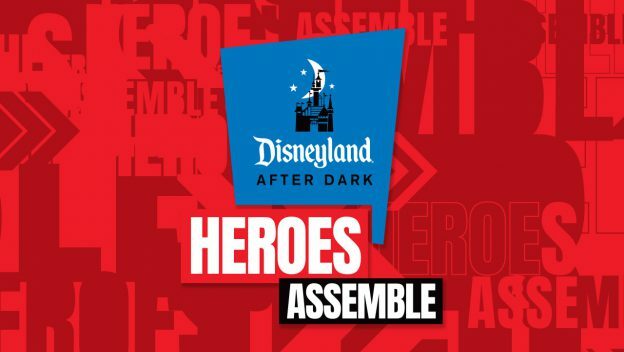 Two new Marvel-themed Disneyland After Dark: Heroes Assemble events will be held at Disney California Adventure on April 30 and May 1. The events take place after park closing, from 9 p.m. to 1 a.m. each night, and include special entertainment and merchandise, character encounters and themed food offerings. Guests are invited to come dressed in their favorite super hero attire. Select attractions will be available, including Guardians of the Galaxy – Mission: BREAKOUT! Tickets are $109/person, and do not include parking. Tickets are good only for one night. They go on sale to annual passholders on February 19, and to the general public on February 21. With their ticket, guests can enter Disney California Adventure at 6 p.m.
Have you attended a previous Disneyland After Dark event? Does this new offering sound like fun to you? Leave us a comment below.